Welcome to the Transformation Goddess Divine Feminine Spotlight for January. 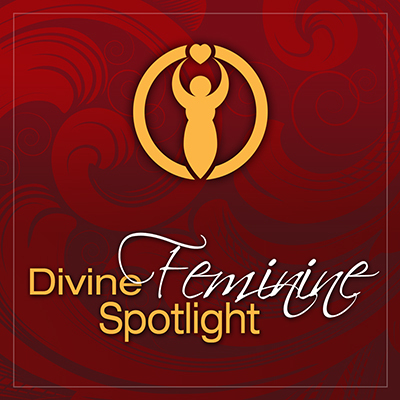 The intention of The Divine Feminine Spotlight is to share transformational stories of women who have learned to walk in beauty, with the strength, courage, and pleasure of claiming their feminine sovereignty. Today it’s my pleasure to introduce you to the soulful and beautiful, Chameli Ardagh. Chameli a practitioner and teacher of feminine spirituality, and she has inspired thousands of women around the world with her breakthrough methods for living and embodying feminine awakening for real. She is especially appreciated for her love of mythology and storytelling as a method for illuminating our unique place in the vast tapestry of life. She is the initiator of a global network of groups for women, creator of a home study program and author of two books on feminine empowerment and spirituality. Claim Chameli's Love Offering, 3 Feminine Embodiment Practices at Transformation Goddess.